"There is no other policy vehicle anywhere near as important as what’s happening in Germany," says an expert. The workings of an obscure German commission could be “the biggest story that no one is talking about” in energy, according to one expert. While Germans have plenty of interest in the coal commission appointed in June, there is little international awareness of the body despite its potential to have far-reaching consequences abroad, said Justin Guay, director of clean air and clean energy at the ClimateWorks Foundation. The German coal commission includes around 30 members whose job is to help Germany give up coal generation without causing strife for an industry that provides significant levels of employment in the country. The future of Germany’s coal industry was a major agenda item in the tortuous negotiations that preceded the formation of Chancellor Angela Merkel’s latest coalition government, Guay noted. In 2015, the coal industry employed around 46,000 people, Euracoal figures show. Germany's desire to phase out coal is significant in itself, Guay said, because it illustrates how far the fuel has fallen in the energy generation merit order. In the nearby U.K., coal generation is rapidly diminishing due to economics alone. The country last month notched up a record 1,000 hours with no coal generation whatsoever, prompting environmentalists to call for an end to new mining. “If the U.K., the birthplace of the industrial revolution, can do it, it [raises] the question: Who can’t?” said Guay. 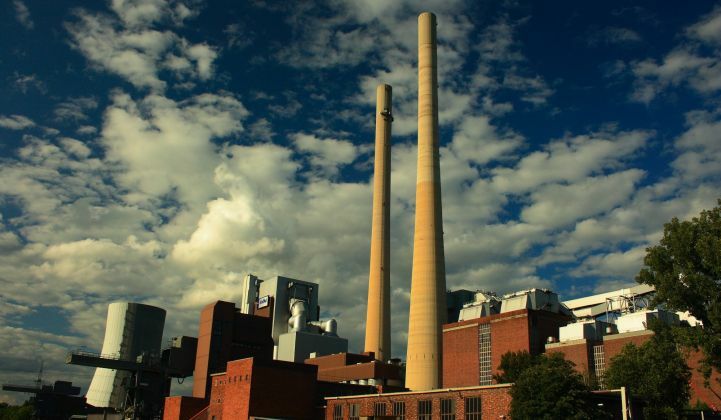 In Germany, the coal commission is due to issue two formal reports on the transition. One, on jobs, is expected around October. The other, on meeting Germany’s emissions reduction obligations, is to be published at this year’s COP climate conference in Poland in December. Research shows Germany cannot achieve its goals without shutting down coal generation, said Guay, so the second report is widely expected to contain a timetable of closures. As part of a failed coalition attempt last year, lawmakers agreed to shutter up to 10 gigawatts of generation capacity in the near future, a figure that was accepted by the coal industry and other stakeholders. At the same time, utilities such as Uniper, E.ON’s fossil fuel spinoff, have accepted the reality of closures and are calculating the amount of compensation they might be due. The country has not yet established when coal will be gone for good. Climate advocates are pushing for 2030, Guay said. Once a date is finally agreed upon, the plan is to set it down in law next year. In practical terms, the date and the act of phasing out coal will have virtually no impact on climate change, since Germany’s 46 gigawatts of coal-based generation only represent about 2 percent of the world’s total. And by 2030 or beyond, it is doubtful whether there will be much interest left in coal anyway. Coal plants are now being retired across Europe at a rate of one per month, Guay said. Upcoming European air quality rules are likely to make older German coal plants a prime target. But even with the industry on the wane, a German coal phaseout could send a powerful signal to other coal-heavy economies, said Guay. Germany’s decision to shut down nuclear generation had far-reaching consequences, Guay pointed out, leading numerous other pro-nuclear nations to evaluate their stance. And even though its coal-based fleet is an order of magnitude smaller than those of China or the U.S., for example, Germany is still one of the top 10 coal markets worldwide.